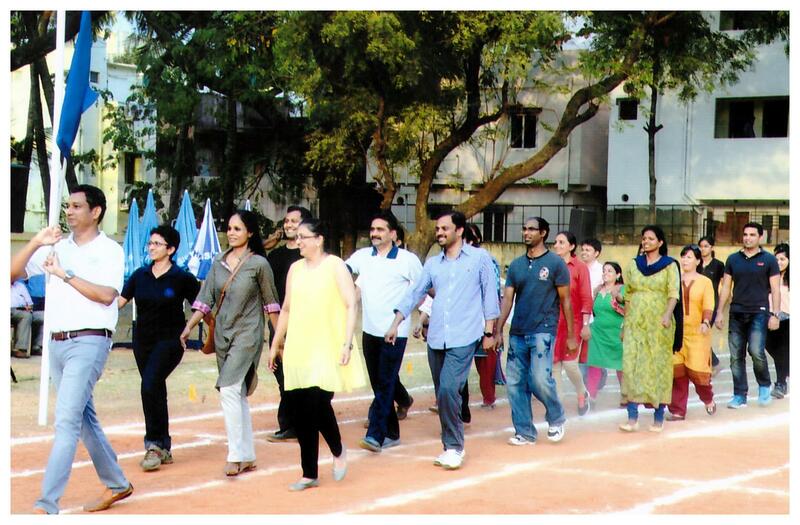 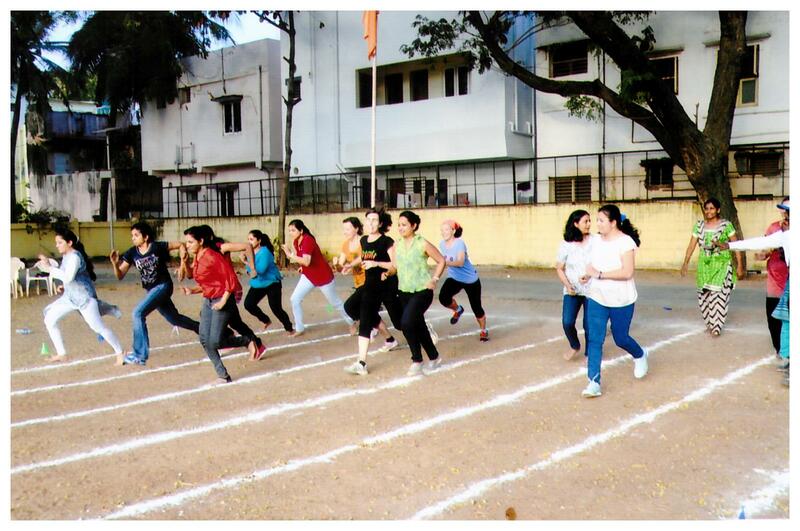 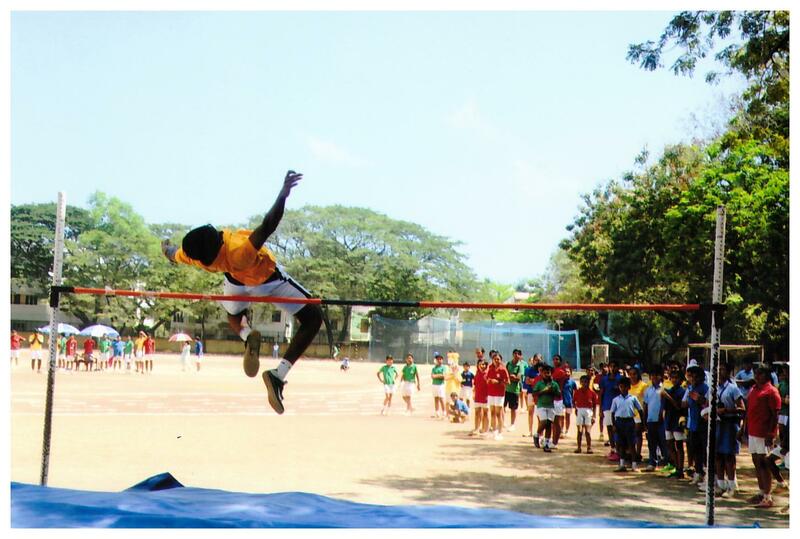 The 34th Annual Inter House Athletics Meet was held on 27th February 2016. 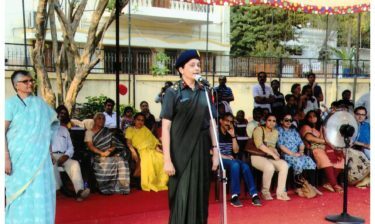 The meet began with the Chief Guest Brig (Ms) R. Rajshree, Commandant, MH Chennai, being welcomed by the Board of Trustees. 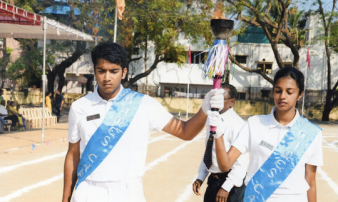 This was followed by the march past of the athletes led by Advaith Suresh, the Head Boy and Sanjana Sumanth, the Head Girl, and by Kavin Rajagopal and Nikita Bhaiya, the Games Captains. 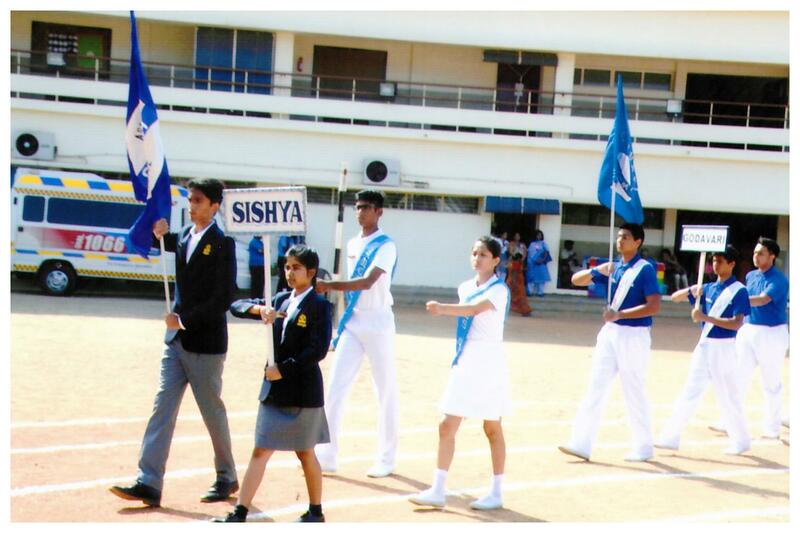 They were followed by the four houses, led by their House Captains and the School Band. 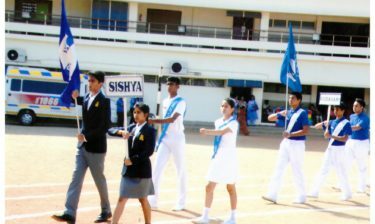 The senior contingents were followed by their junior counterparts, led in turn by their Games Captains and Junior House Captains. 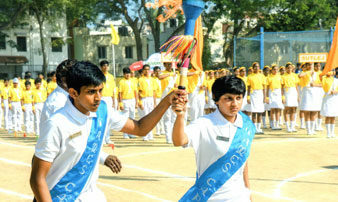 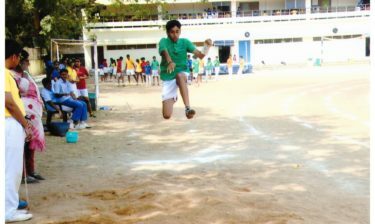 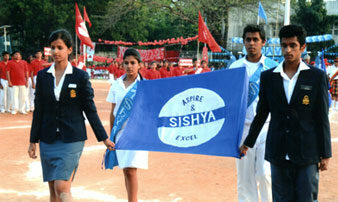 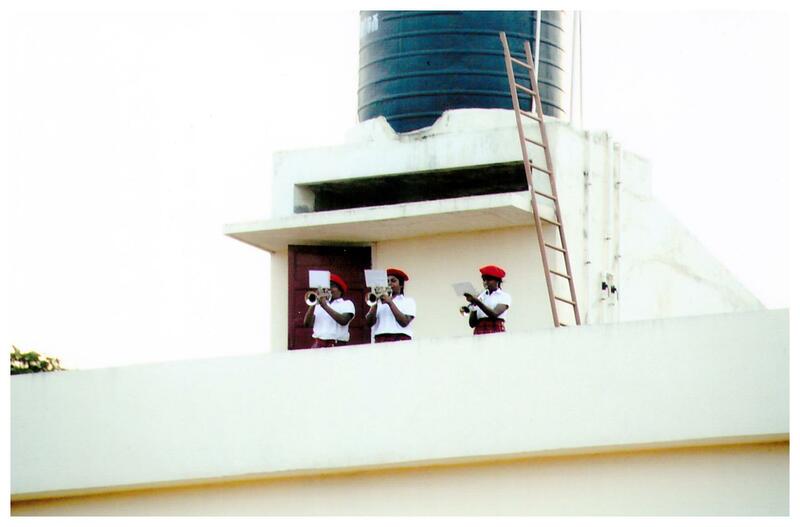 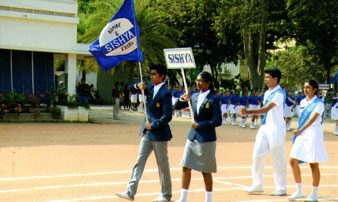 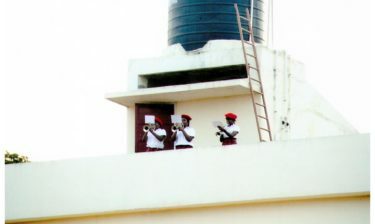 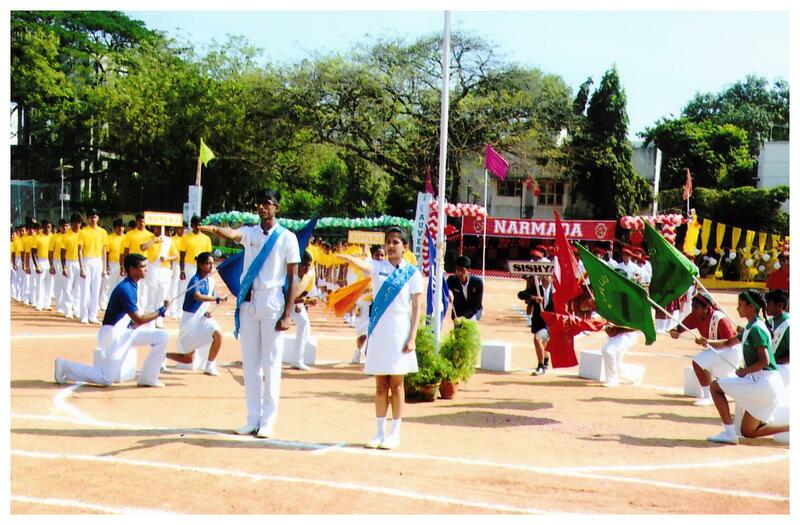 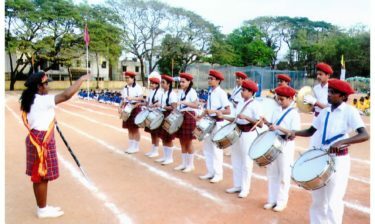 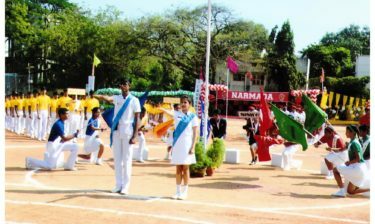 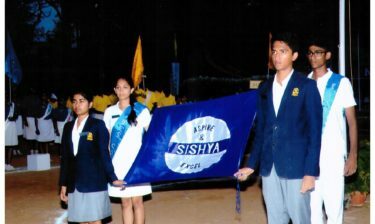 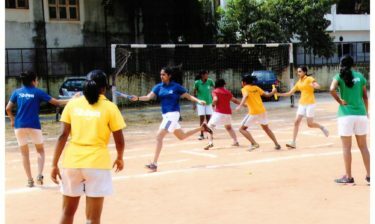 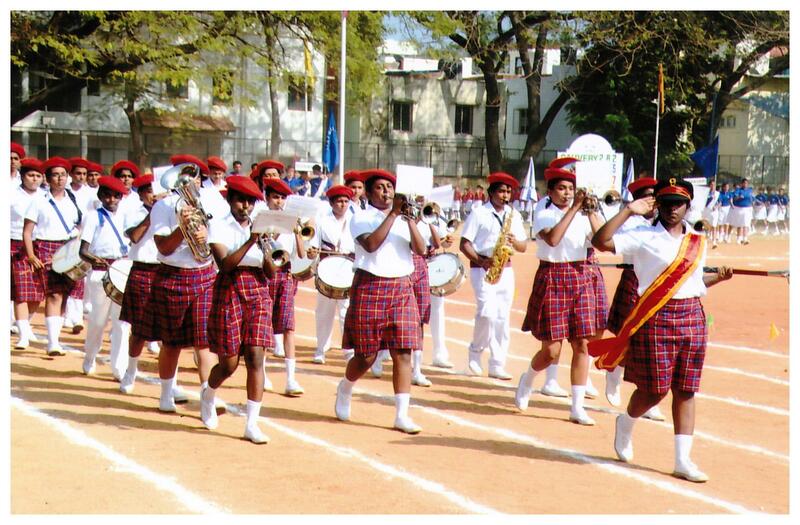 Once the four houses congregated at the centre of the field, the school flag was hoisted, the games torch was lit, and the Chief Guest declared the meet open. 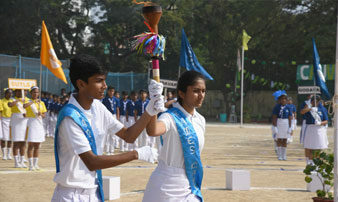 Following this, the House Captains took an oath of sportsmanship in a solemn ceremony. 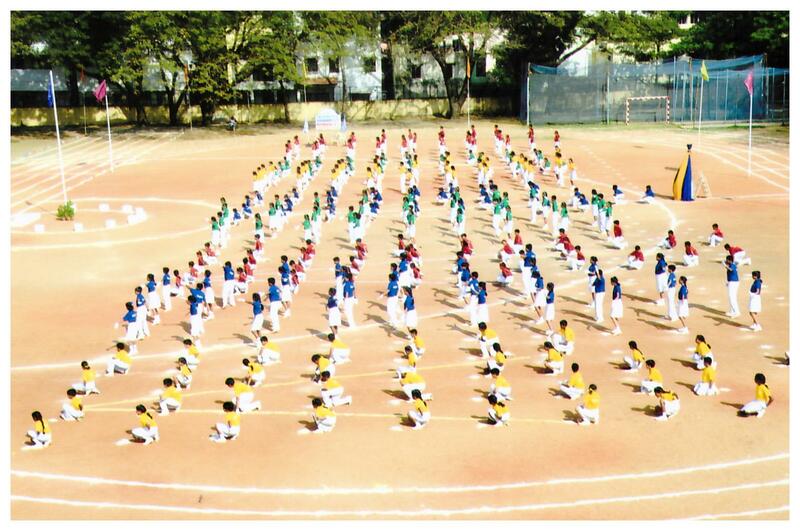 ‘The Zumba Circuit’ was the drill this year and was performed by nearly 400 children of classes 6 to 9. 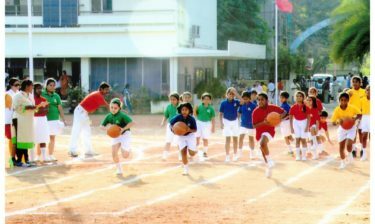 The athletic events began with the 100m dash for boys and girls of all the divisions, the 200m race for the A division and the 400m race for the B division. 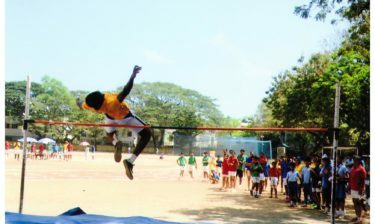 The majority of the track and field events were held on the 18th, 19th and 20th of February. 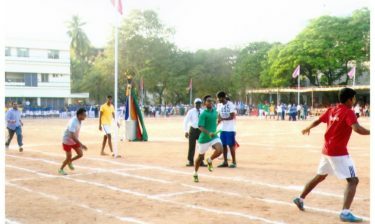 Five new meet records were set this year. 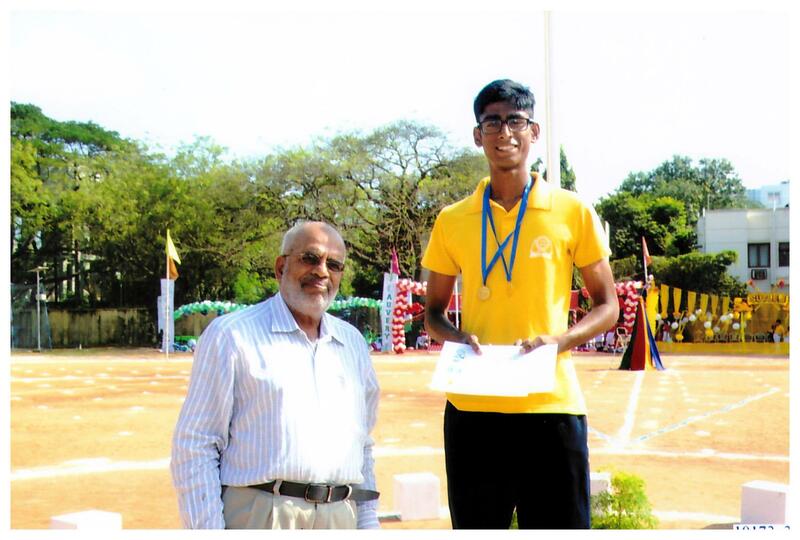 In the ‘A’ Division for boys, Sahil Reddy of Narmada sets two new records in the 200 m race (25.15sec) and the 100 m hurdles (16.12sec) events. 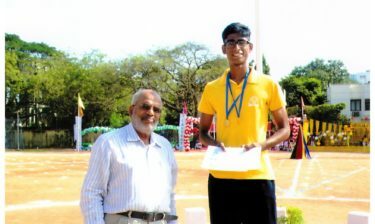 Kavin Rajagopal of Sutlej also set two meet records – in the 400 m race (59.02 sec) and in the high jump event he bettered his own record with a jump of 1.75 m. Siddharth Suresh of Sutlej set a new record in the 800 m race (2:33.5sec) in the ‘B’ division for boys and Taraa Gurunath of Godavari equaled the high jump record (1.25m) in the ‘C’ division for girls. 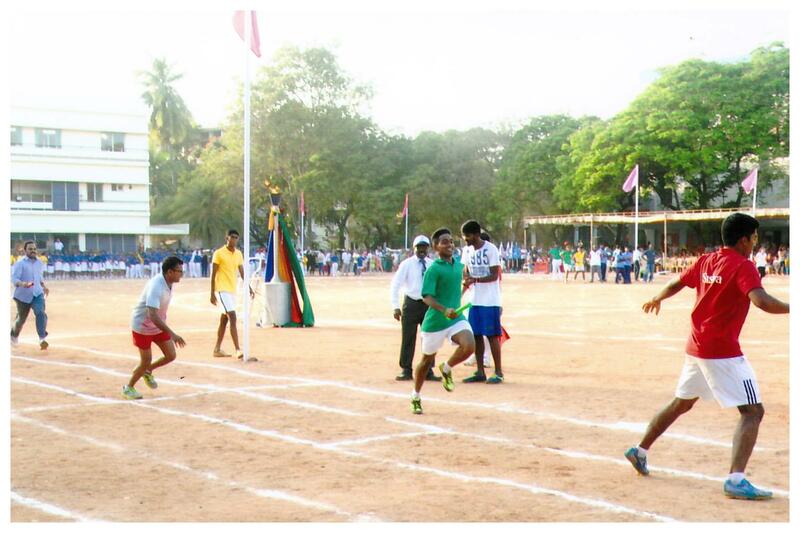 The athletes gave of their best in these races, showing true skill, grit and determination. 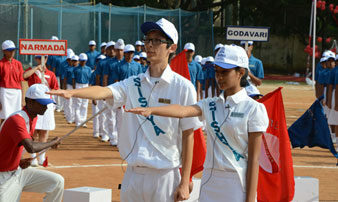 These were succeeded by the 10 X 50m Shuttle Relay for Classes 3 & 4 and the widely anticipated Mixed Relay, both of which drew much cheering from the crowd. 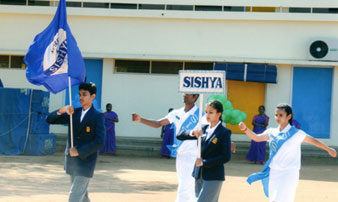 There was also a race for the Parents which followed a baton relay between the Sishya athletes and the Sishya Alumni which was won by the present Sishya athletes despite the gallant efforts of the champions of yesteryear. 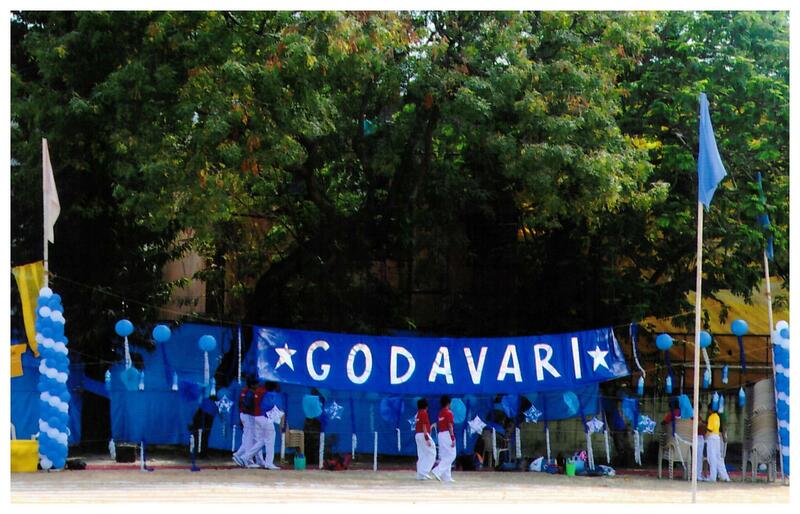 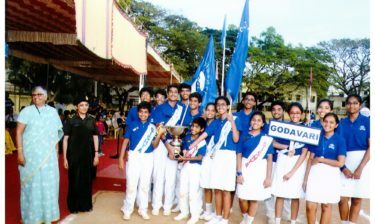 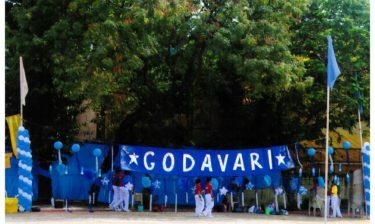 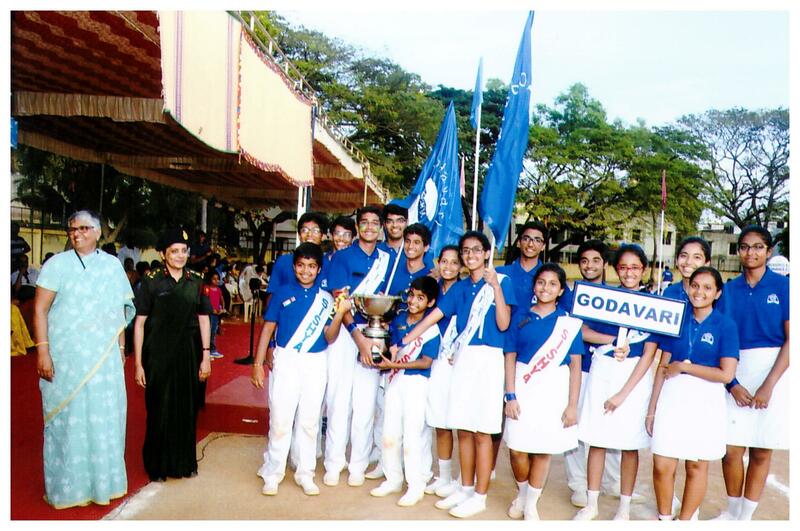 At the end of all the events, Godavari emerged as the winners followed by Sutlej, Narmada and Cauvery. 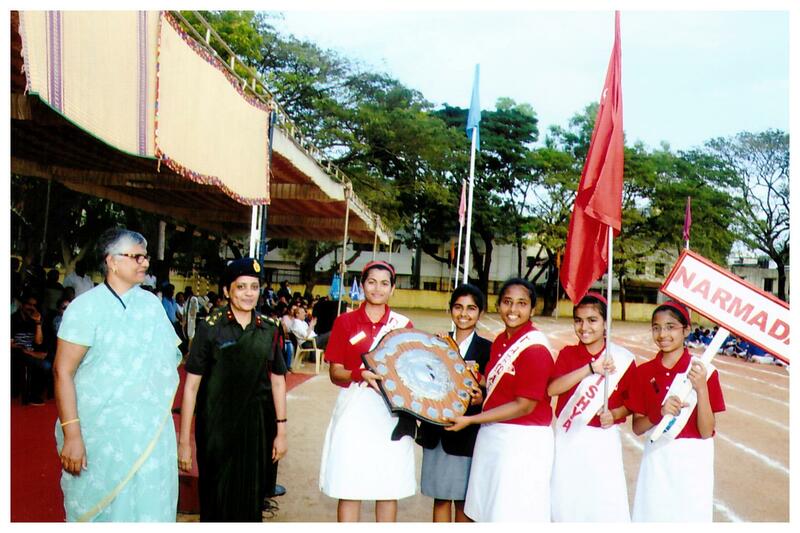 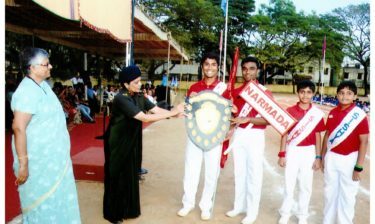 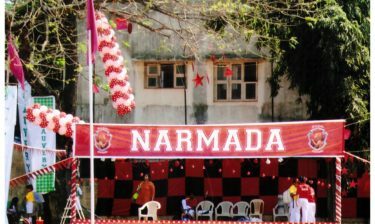 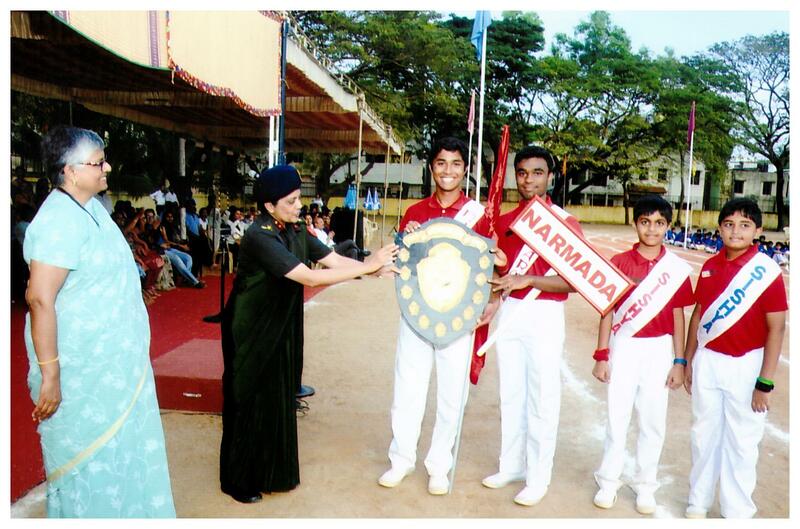 Narmada won the Marching Shield for both the Senior boys and Senior girls. 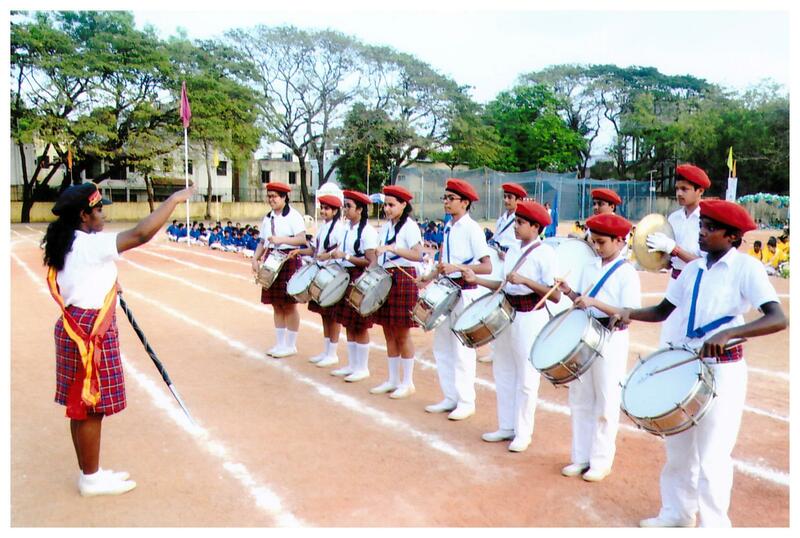 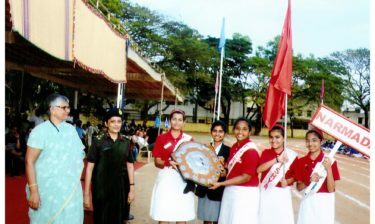 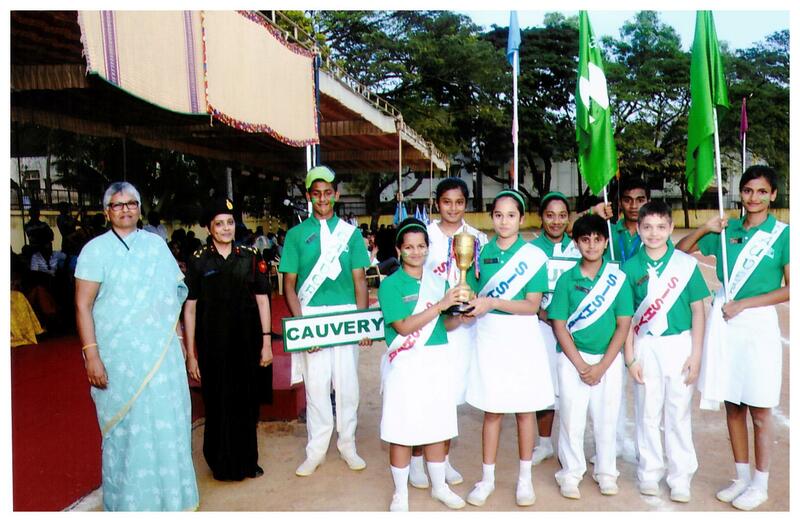 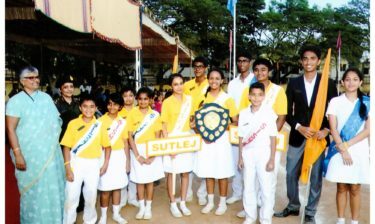 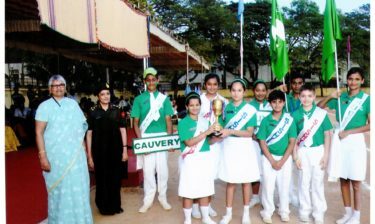 The Junior Marching Cup was won by Cauvery. 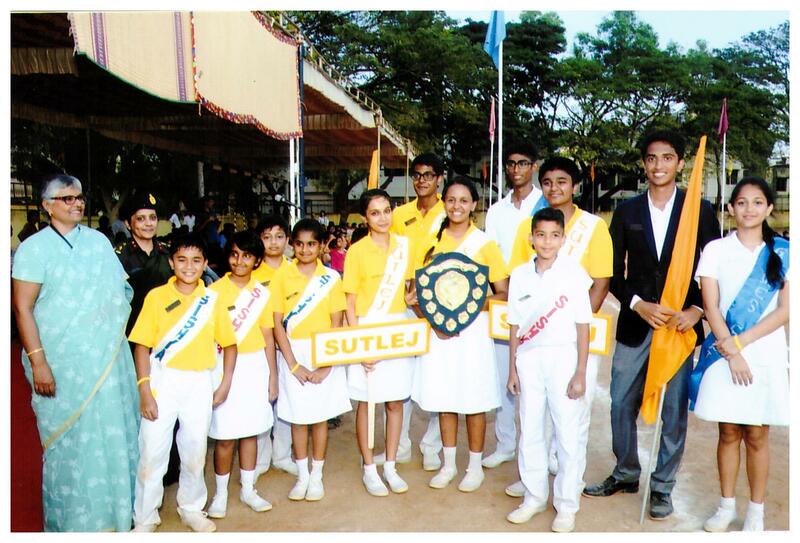 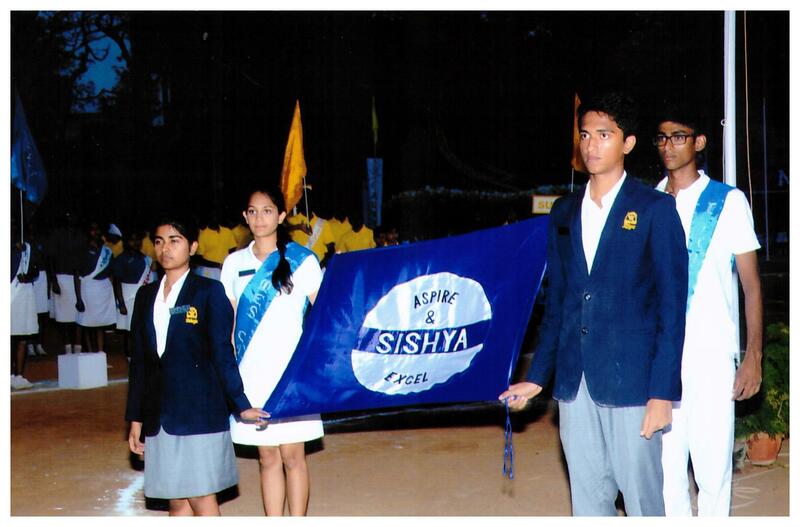 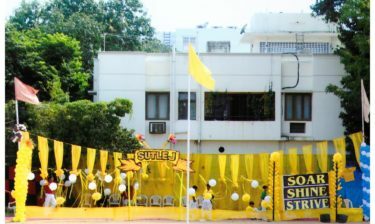 The shield for the most disciplined house was won by Sutlej. 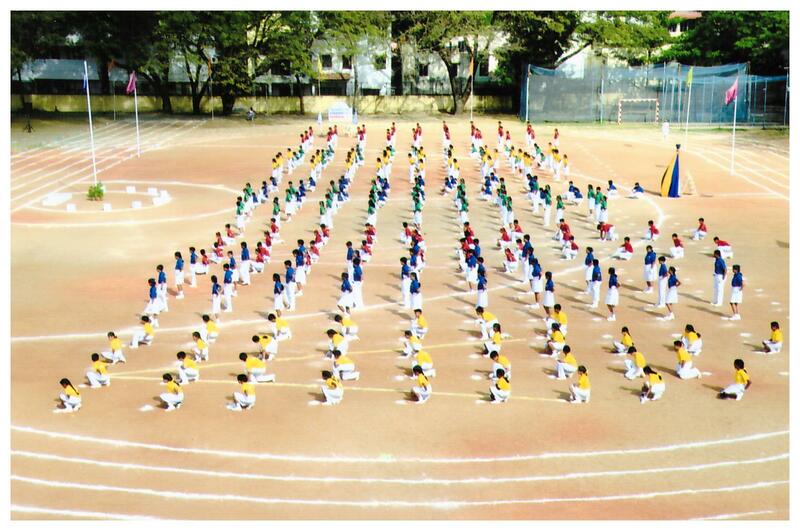 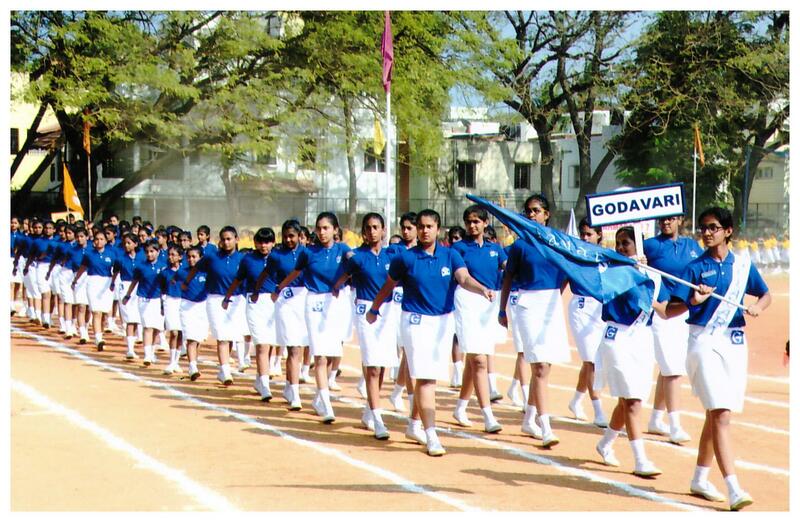 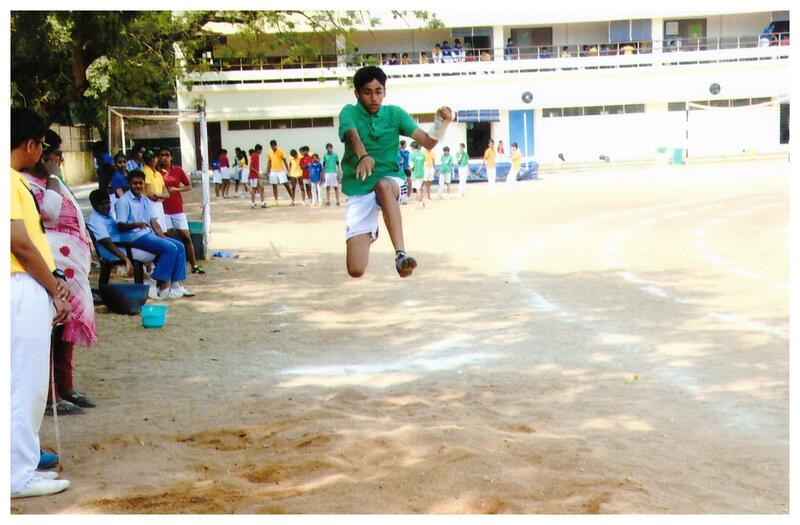 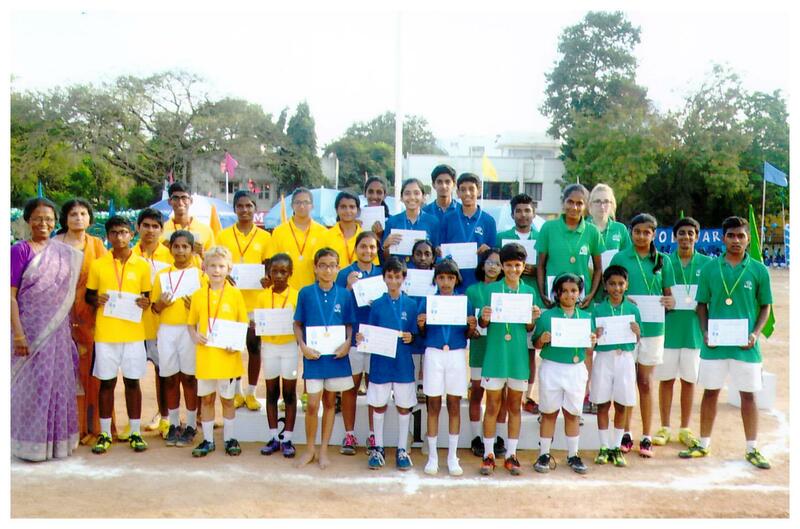 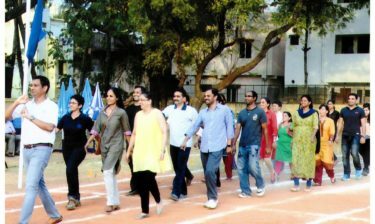 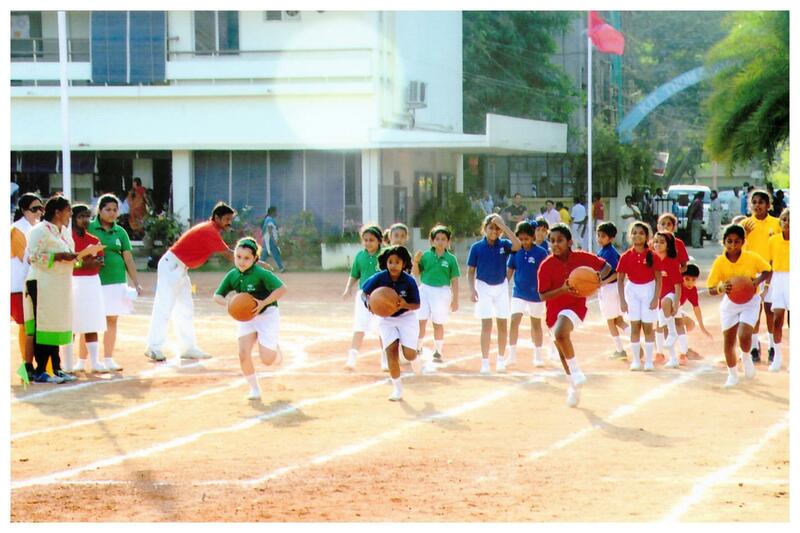 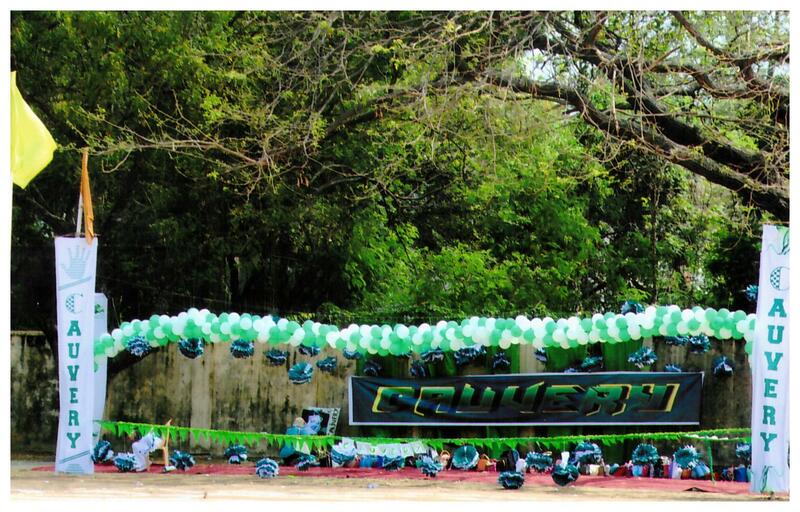 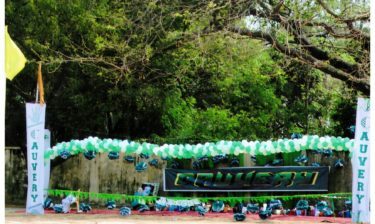 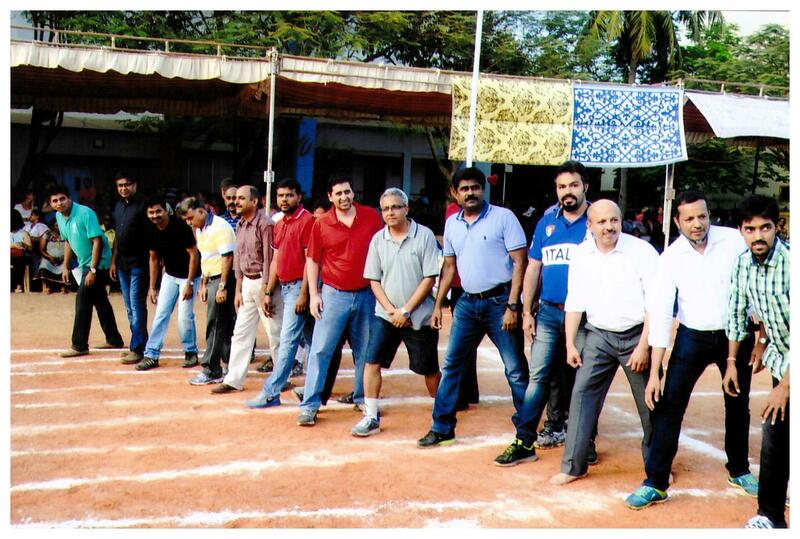 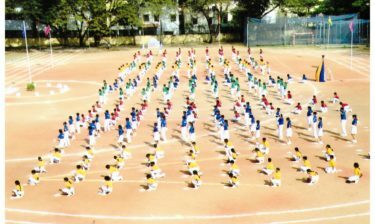 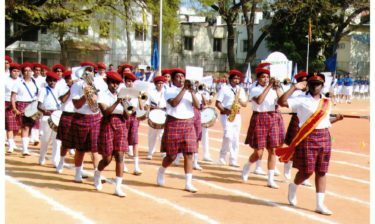 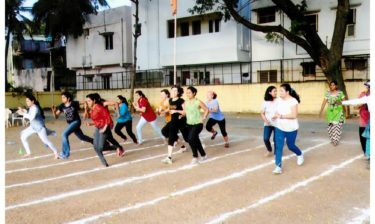 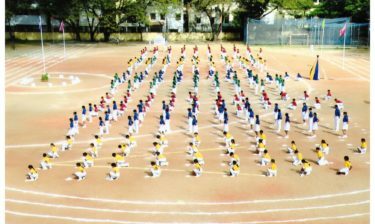 The 34th Sishya School Adyar Inter House Athletics Meet was held on 27th February 2016. 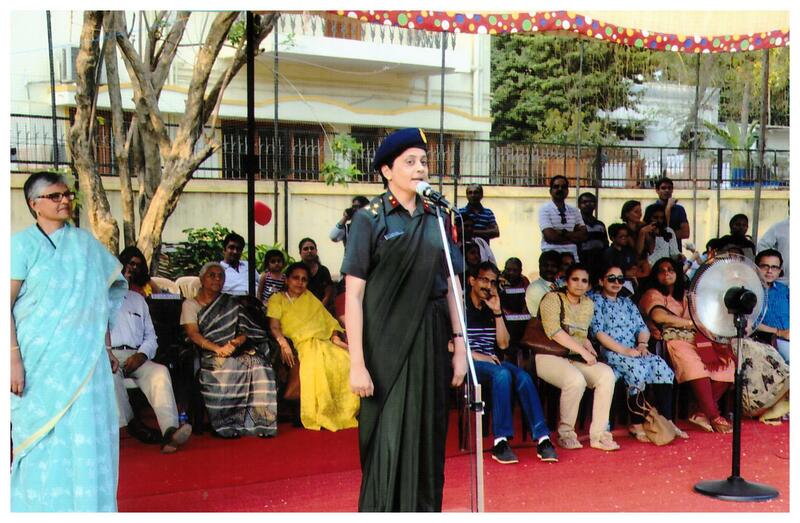 The meet began with the Chief Guest Brig (Ms) R. Rajshree, Commandant, MH Chennai, being welcomed by the Board of Trustees. 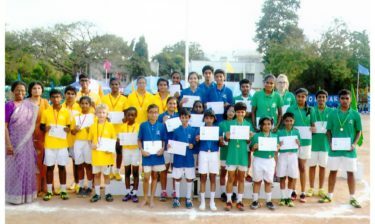 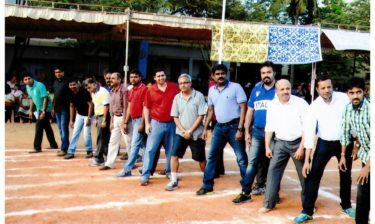 The Chief Guest of the 31st Annual Inter House Athletics Meet was Mr. Ramesh Krishnan, Junior Singles Wimbledon and French Open Champion in 1979 and former Davis Cup Captain of India, and was held on 23rd February 2013.